Karnivool emerge on Themata from the “apex of Western Australia” with a not quite hard-rock sound and a thinly veiled grand ambition: they want to break out in the US. Karnivool emerge on Themata from the “apex of Western Australia” with a not quite hard-rock sound and a thinly veiled grand ambition: they want to break out in the US. To their credit, they aren’t setting out to do it by tapping into the recycled Aussie retro sound (please hear and heed, Jet, Wolfmother, and the Vines), and at first it seems like the band really will have something “special” to offer. Two tracks, “Cote” and “Change Part I”, which act as the album’s bookends, are eerie and dissonant musical journeys, ambient keyboard hooks snaking beneath them and lead singer Ian Kenny’s vulnerable falsetto betraying what sort of music he’d rather be singing, but the rest is a mess of unmemorable riffs and the dull experimental slab here and there. Kenny has rhythm when he spits out a lyric, but he also disturbingly sounds a lot like Fred Durst, and doesn’t fill an angst-ridden persona with much charisma. 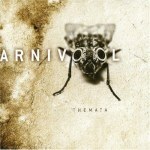 That said, the biggest problem by far is that Karnivool don’t seem to know at this stage what kind of band they want to be, and while several of Themata’s tracks may be met with a mild response on some mainstream rock radio stations, it’s an album dedicated almost entirely to soul-searching.